Who were these gift-bearing kings, these Wise Men of the East? What has their mission meant to Christians across the ages? Bearing gifts we traverse afar. . . . The Wise Men—not yet called kings—make only a single appearance in Holy Scripture. St. Matthew’s Gospel (Mt 2:1-12) tells of their arrival in Jerusalem shortly after the birth of Jesus. They have come seeking the newborn King of the Jews because they had seen his star rise in the East. Herod, the current ruler, knows nothing of an upstart princeling but learns that prophecies place him in Bethlehem. Herod directs the Wise Men to search there for the Child and keep him informed. Following their star, the Wise Men find Jesus with his Mother. They worship him and bestow gifts of gold, frankincense, and myrrh. Warned by an angel, they do not reveal the Child’s location to jealous Herod but return secretly to their own land. Some early Christians equated the Magi with Chaldean star-readers from Babylon, masters of the occult familiar throughout the Roman Empire. St. Justin Martyr and Tertullian thought they were Arabians but most believers in Patristic times took their Persian origin for granted. Church Fathers were quick to see deeper symbolism in this curious episode, first through its Old Testament parallels. Origen suggested that the Magi were descendants of the pagan prophet Balaam who had predicted that “a star shall rise out of Jacob” (Num. 24:17). Other Old Testament figures including the priest-king Melchizedek (Gen. 14:18-20), the generous Queen of Sheba (1 Kgs. 10), and the faithful Three Young Men in the Fiery Furnace (Dan. 3) were also seen as counterparts of the Wise Men from the East. Strangers who worship the new King of Judah and bring gifts fulfill Messianic prophecies. “The kings of Tarshish and the Isles shall offer gifts; the kings of Arabia and Seba shall bring tribute” (Ps. 72:10). “All they from Sheba shall come, bearing gold and frankincense, and proclaiming the praises of the Lord.” (Isa. 60:6) Because the Scriptures speak of tributary kings, Tertullian called the Magi kings. Origen specified that they numbered three to match their gifts and their named kingdoms. St. John Chrysostom preached about twelve Wise Men but his interpretation failed to find favor. These foreigners, the first Gentiles to see the Light, recognize what Herod and the Temple priesthood cannot: the newborn Savior. The wealthy, learned, alien Magi of St. Matthew’s Gospel complement the poor, ignorant, local shepherds of St Luke’s Gospel. Foreshadowing the universality of the Church, these Gentiles and Jews worship God Incarnate to show that salvation is offered to all men. St. Irenaeus of Lyons was the first Church Father to equate the Wise Men’s gifts of gold, frankincense, and myrrh with Christ’s roles as King, God, and Sacrifice. 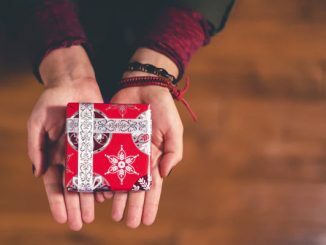 This became the dominant reading, still familiar through the beautiful Victorian Christmas carol, “We Three Kings of Orient Are.” But other interpretations also appeared in which the gifts stand for the virtues of faith, chastity, and purity of heart or else for almsgiving, prayer, and mortification. The Christ Child’s adoration by the Magi is known as his Epiphany (“Manifestation”) because it announces his mission to redeem the world. Ancient Christendom spoke of multiple manifestations (initially including the Nativity) by linking the revelation of the newborn Christ with his later baptism in the Jordan and his first miracle at Cana. 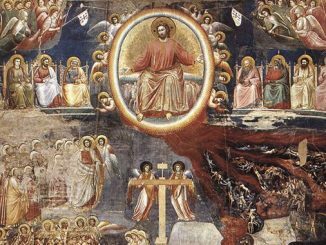 These key points in his mission, which were imagined to have occurred on the same calendar date, also used to be celebrated in the pre-Vatican II Roman breviary. As an Epiphany antiphon at Vespers proclaims, “We honor the holy day adorned with three miracles: today the star led the Magi to the crib: today wine was made from water for a wedding: today Christ willed to be baptized by John in the Jordan.” In medieval Europe, Epiphany was often connected with the miracle of the loaves and fishes and with the raising of Lazarus. The traditional date of Epiphany is January 6th although in some places, including the United States, the feast is transferred to the nearest Sunday. 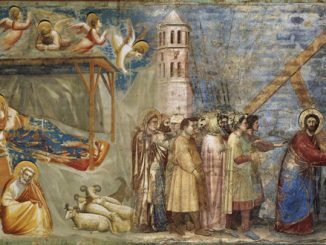 Epiphany is an older feast than Christmas for it is attested in the East from the first half of the third century, at least 75 years before Christmas is mentioned as a holy day in Rome. By the late fourth century Christmas was also being celebrated in the East so Epiphany lost its Nativity connection there. The Baptism of the Lord became the chief focus of Epiphany and the subject of its special feast day icon. The public manifestation of Christ as the Divine “beloved Son” outranked the private homage of the Magi, who were relegated to the background of Nativity icons. Nevertheless, the Adoration of the Magi has been a popular subject for artists since Late Antiquity. The earliest surviving examples are catacomb paintings from the second and third centuries and carvings on stone coffins from the first half of the fourth century. On the coffins, three nearly identical Magi process toward the enthroned Madonna and Child. Their gifts allude to the alms the deceased person had given in his lifetime. Famous mosaics depicting the Magi also appear in the churches of S. Maria Maggiore in Rome (440) and S. Apollinare Nuovo in Ravenna (561). The Magi are represented in exotic “Eastern” garb, wearing tunics, leggings, and soft peaked caps. They observe imperial Roman court etiquette by presenting their gifts with covered hands or on trays. The gold is often in the form of a royal wreath and the star appears as an emblem of divine kingship. By the tenth century, Western artists are portraying the Wise Men with crowns. They grow distinguishable because they have come to stand for the three ages of man, the three known continents of the Old World, and three races descended from the sons of Noah. 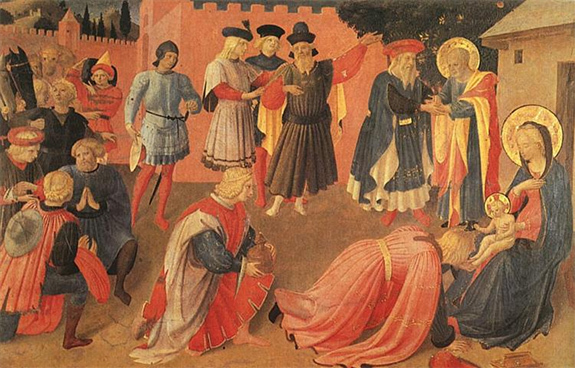 In later medieval art the Magi lay aside their crowns to interact with the Christ Child and receive his blessing. Their garments become increasingly fantastic and their faces are often modeled on contemporary rulers. By the fourteenth century, the youngest Magus is portrayed as a black African in many Northern European paintings. In subsequent centuries, other racial types joined the trio, including East Indians, Asians, Incas, and Canadian Indians, so that the Wise Men could represent all nations. The thirteenth century Golden Legend gives the Magi’s names in Greek as Apellius, Amerius, and Damascus; in Hebrew as Galgalat, Malgalat, and Serchin; and in Latin as Caspar, Balthasar, and Melchior—the favorite set. There are inconsistencies about which Magus is which but in Germanic lands, Casper (gold) is elderly; Melchior (frankincense) is middle-aged; and Balthasar (myrrh) is young. The gifts are presented in order of age. The center of the Magi’s cult is Cologne. The cathedral there boasts a splendid golden shrine holding their relics that has drawn swarms of pilgrims since the twelfth century. The Kings’ protection is traditionally invoked against travel dangers, plague, fever, and sudden death. Their initials C+M+B form a protective acronym for Christus mundum benedicat (“Christ blesses the world”). The faithful carry this symbol on holy cards or chalk it over their doors to ward off evil. The alleged remains of the Magi are claimed to have been discovered in the East by St. Helena and brought to Milan in 400, whence they were looted by Frederick Barbarossa in 1162 and given to Cologne. Historian Patrick Geary has argued persuasively that Milan never had any relics of the Wise Men. Yet the bones in the shrine were wrapped in genuine purple silk from St. Helena’s lifetime so some ancient parties unknown have been passing as the Magi for eight centuries. Regardless of authenticity, the Three Holy Kings have had great cultural impact on Cologne as the city’s male patron saints. Their crowns appear on the arms and banner of the city as well as on the seals of her archbishop and university. The Magi themselves bear heraldic arms. Caspar’s are a golden star and crescent on a blue field; Melchior’s six gold stars on a blue field, and Balthasar’s a red-clad Moor holding a lance with pennant on a golden field.